Our Club is focused on improving the Quality of Life In Oconee County, Georgia!! Whenever a Lions club gets together, problems get smaller - and communities get better. That's because we help where help is needed - - in our own communities and around the world - with unmatched integrity and energy. Providing financially needy residents with eyeglasses, and hearing aids. ​ Sponsoring High School Leo Clubs which promote a sense of pride in community service among the student members. Awarding $1000 scholarships to an Oconee High School and North Oconee High School senior each year. 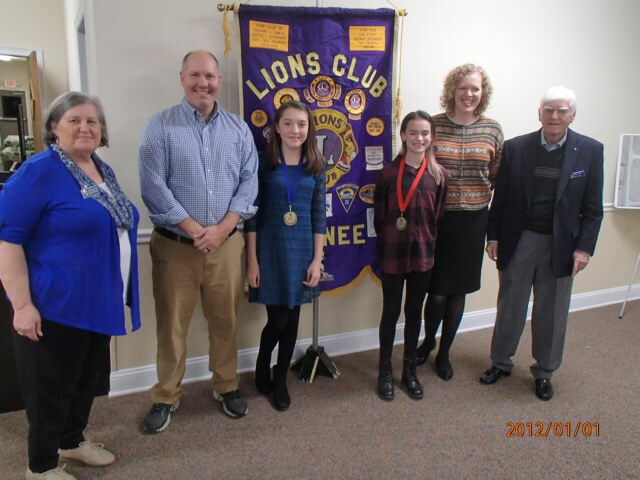 Recognizing most improved students and sponsoring the Lions Peace Poster Contest in Oconee Middle Schools. Annually honoring a Public Safety Officer for outstanding service. Conducting vision screenings at public events. Staffing Salvation Army kettles to help with needs of the community. Providing food and financial assistance to Area Churches Together Serving (ACTS). Conducting workdays to help maintain Harris Shoals Park. If you have a question or interest in joining our Lions Club you may contact us at Oconeelionsclub@gmail.com. Our club is a 501(C)3 organization.